Your friendship is such a blessing! My time has been very consumed with traveling back and forth home a couple times a week to be with my Father who is struggling with health issues but it is where I need to be right now. I have been able to at least keep up with my Design Team projects for Scrapy Land which gets me in my room for that but honestly that is about all I can do for now due to these circumstances. I am sorry for those of you I haven't visited in a while but I hope to get back to it as soon I am able. 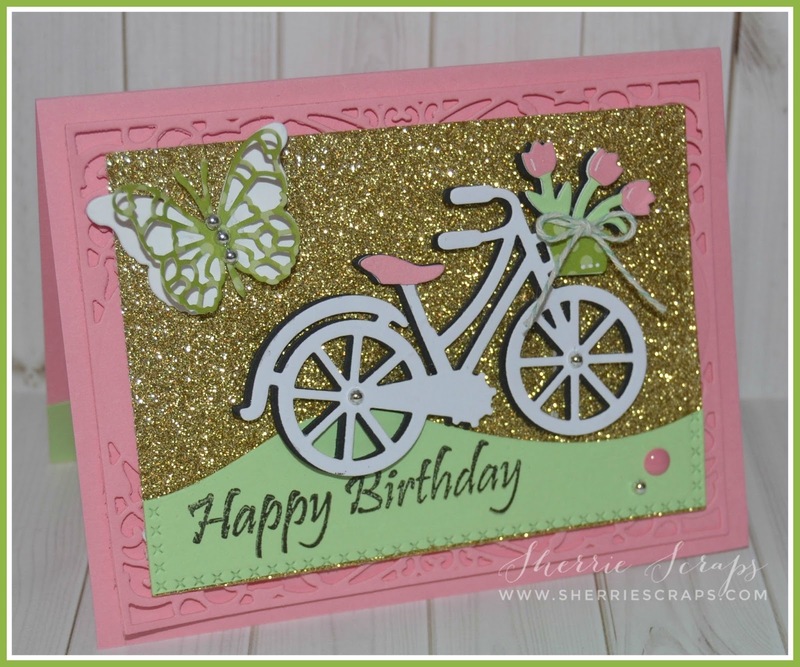 I happen to run across a fun design and little video on You Tube that Sparkle N Sprinkle shared a while ago that I had saved. So, I picked up the product and followed their technique as I was so inspired!!! 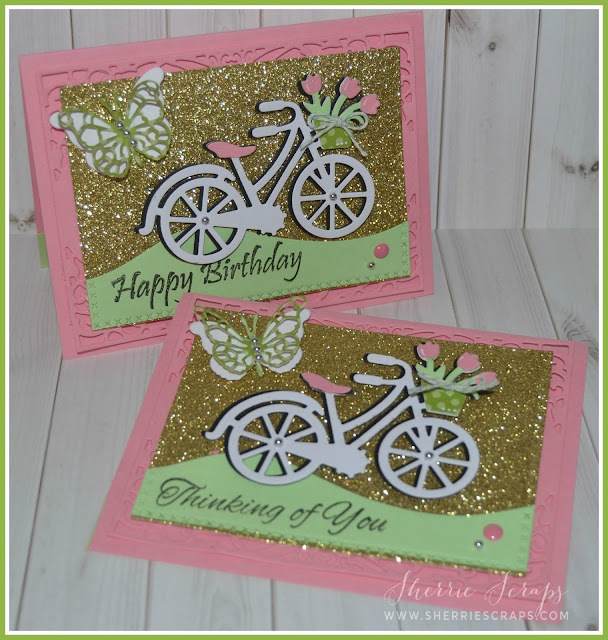 I had my bloggy buddies in mind when choosing these sentiments. 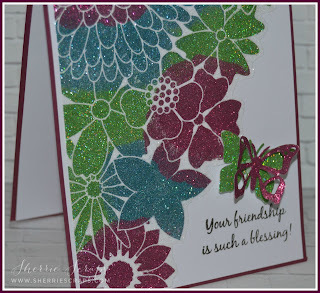 Please know........ "Your friendship is such a blessing" & "So Thankful"
For my card I used Sparkle N Sprinkle Stampendous Corner Flower Metal Stencil. 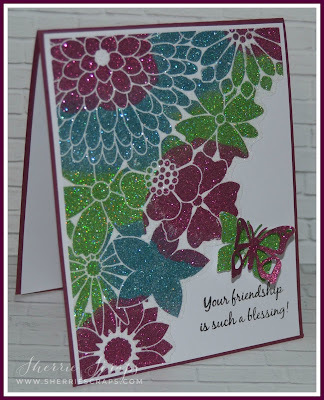 I layered Sticker Paper down and then sprinkled Teal Velveteen glitter down and rubbed it through the stencil. 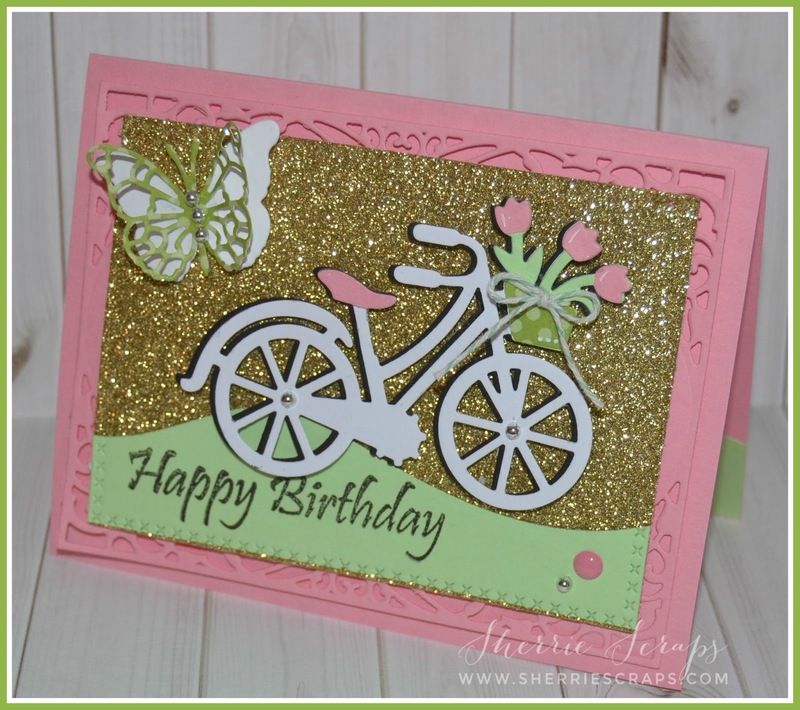 I did the same with Dogwood Rose glitter and then the Gecko glitter. I then finished with Crystal Ice over the whole panel. 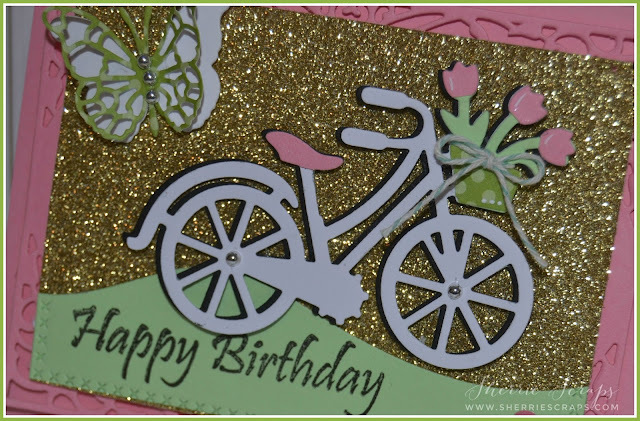 I cut around the flowers and mounted it on a piece of white card stock and then onto the card base. The butterfly is Jaded Blossoms Spring Dies 2 and cut out of sticker paper and then dipped into Dogwood Rose and Gecko glitter. 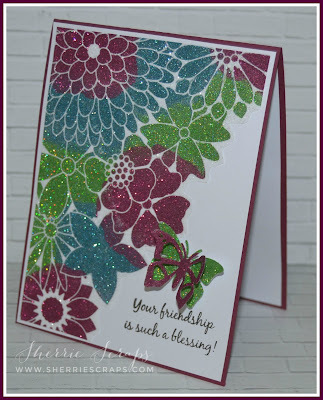 The sentiment is Cardz TV Count Your Blessings stamp set. 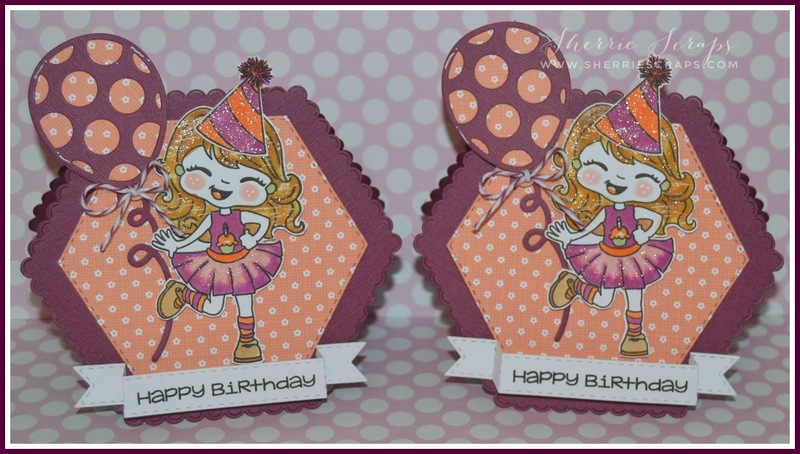 The tag is Jaded Blossoms Luggage Tag Die and followed the same design as card. 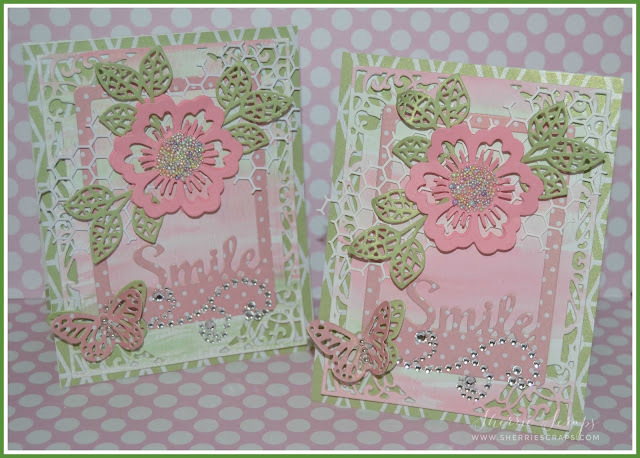 I finished with stamping the sentiment with Cardz TV Mini Messages stamp set that I won playing in their challenge. For my cards I used papers from Recollections Backyard Table for my Base. The next layer is Spellbinders A2 Devine Eleoquence Die which I inked up Distress Oxide Worn Lipstick and Cracked Pistachio inks. Sue Wilson Designs Mosaic Leaves Die. 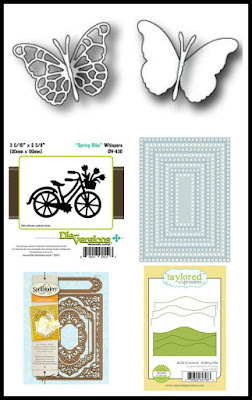 The cute little butterflies are Die Versions Pretty Butterfly Dies. I finished with a gem flourish I had in my stash. For my cards, I started with my card base and then layered a panel from the Spellbinders A2 Devine Eloquence Die. I followed with a Tutti Designs Cross Stitched Nesting Rectangular Dies cut out of sparkly card stock I had on hand. 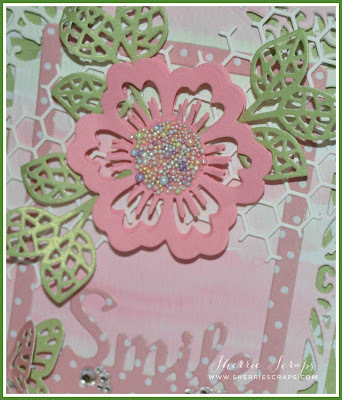 The small border panel is from the Taylored Expressions Rolling Hills Die and I stamped the sentiment with Cardz TV Bigger Everyday Sayings stamp set. 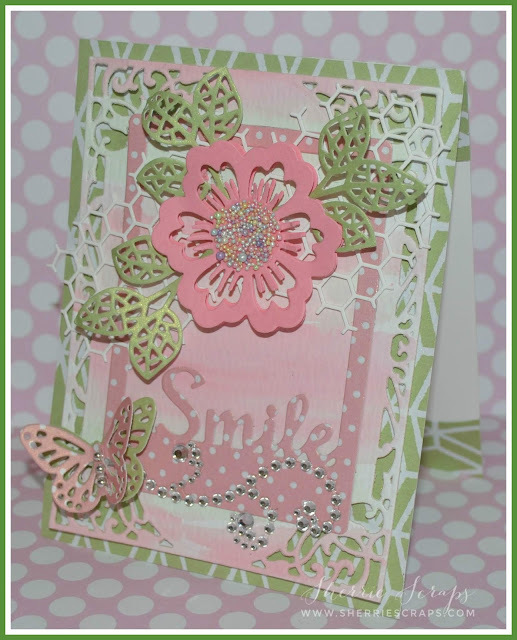 Winner from Carson's Creations Blog Hop Giveaway! Congratulations Sukie!! Please email me you address so I can get this out in the mail to you right away. Thanks again everyone for hoping with us! Hello, everyone and happy Saturday!! 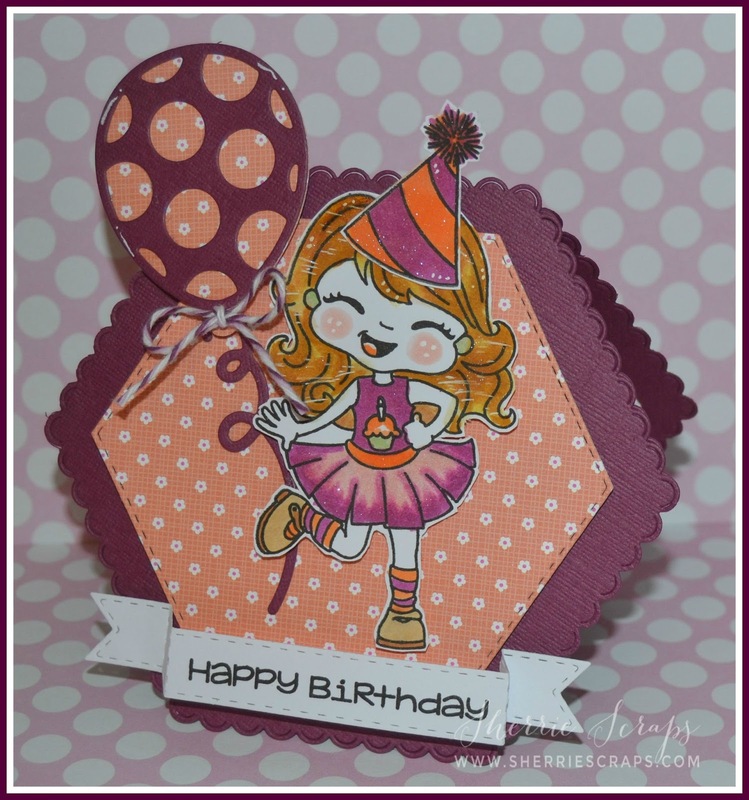 Today we are celebrating Carson's Creations 8 year blogaversary!! I'm so excited to be sharing this celebration with her today! There are 8 stops and you won't want to miss any of them! 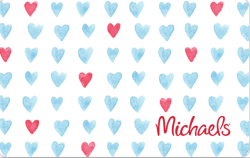 If you are here from Migdalia's blog then you are in the right place. 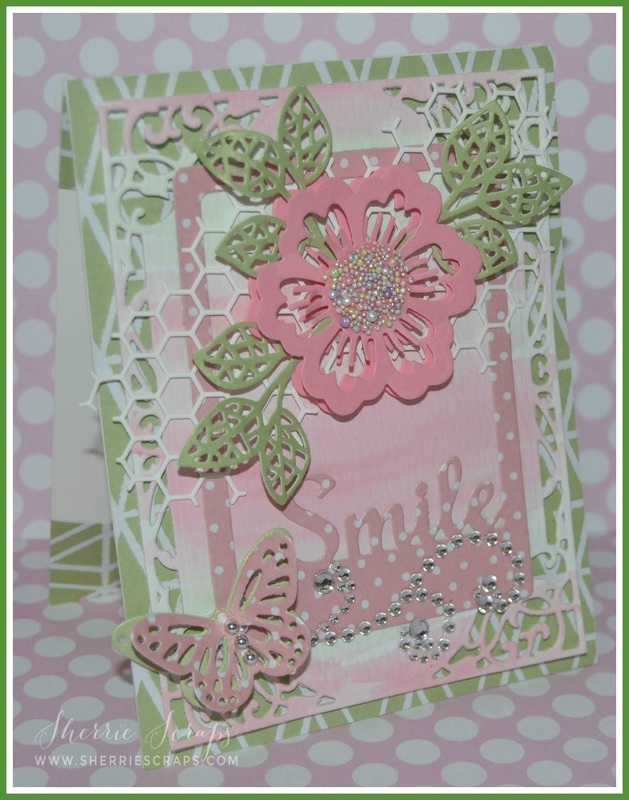 If you just happened onto my blog today and would like to join us, then start at Carson's Creations ~ Georgiana's blog. What would a hop be without Blog Candy?!?! 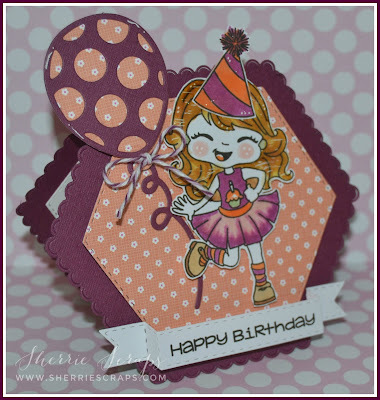 Since this is a celebration, each blog has a bit of candy that is randomly being given away. Yay for candy!! Be sure to be a FOLLOWER and COMMENT on each blog for your chance to win. 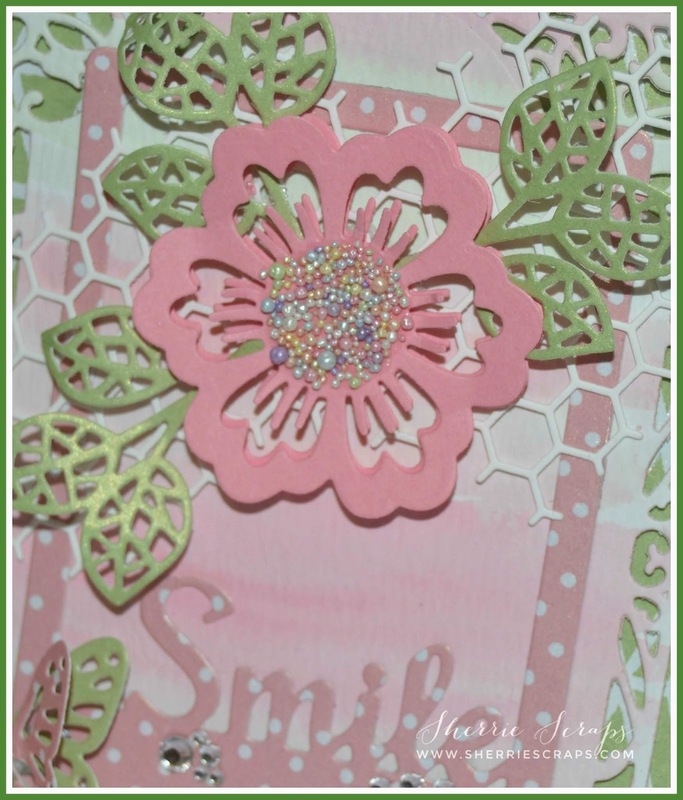 For my birthday cards, I created my card base with Jaded Blossoms Scallop Hexagon Dies. 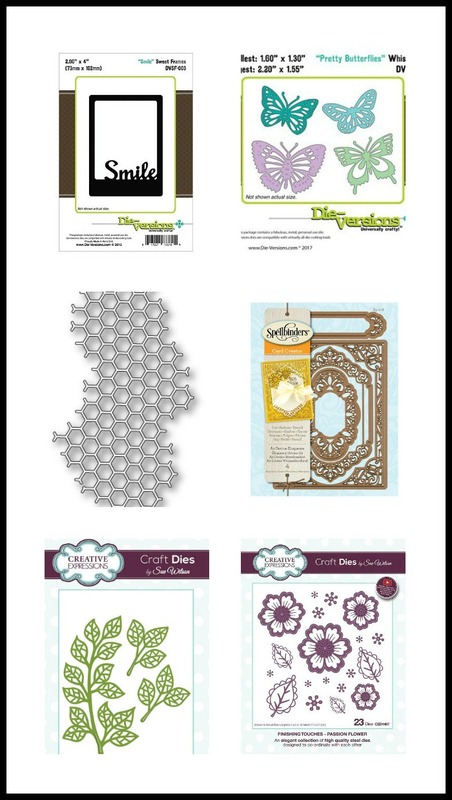 I then followed with a Stitched Hexagon Dies. The pattern papers are from Doodlebug Designs~Spring Things collection. 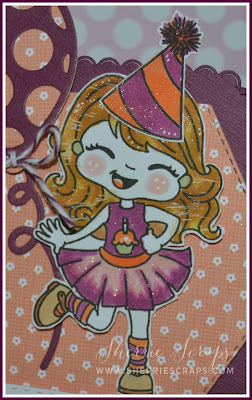 The sweet little girl is from Holiday Dress Up stamp set and was colored with copics. The cute balloons are from the Balloon Dies. I also added a little grape fizz twine bow for added fun. The sentiment is stamped from the Hey Chickie stamp set onto a Dimensional Banner Dies. I used the Nuvo glitter gloss pen on her to add sparkle. You have until Sunday night, June 3rd at 9:00 pm EST to hop along with us! All winners will be announced on Monday, June 4th on each individual blog. The winners will also be posted on Carson's Creation Facebook page after all the winner's posts go live on each blog. Thanks for celebrating with us today! Your next stop is my sweet friend, Lisa.